Located around 7 kilometers from the heart of the City of Kunming, Yunnan Wildlife Park lies near the Golden Temple Reservoir. It is composed of rare animal area, animal kindergarten, animal nursery display area, ostrich garden, zebra garden, swan lake, reptile world, African animal area, sky city, raccoon area, flamingo town, giant pandas hall, lion and tiger villa, peacock garden, etc. with rich patterns and distinctive features. 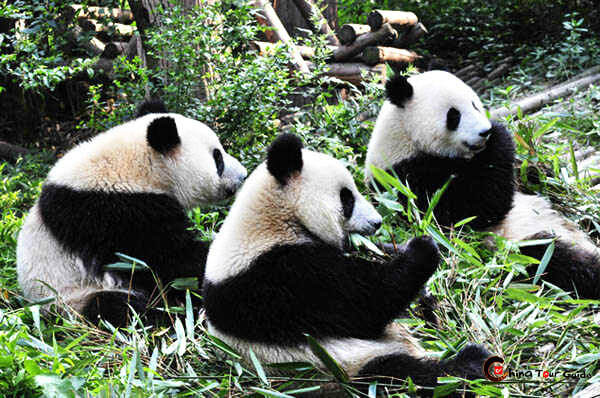 Yunnan Wildlife Park is home to more than 200 species of animals with a total of more than 10,000 animals. At the rare animal area, you will see Orangutans, black bears, sun bears, red pandas, hamadryas baboons, black panthers, gibbons, macaques, stump-tailed macaque, macaca nemestrina, assam macaque, golden monkeys, white-tailed monkeys, ring-tailed lemurs, and the like. At the animal kindergarten, the cute young tigers, foxes, bears, hamadryas baboons, turtles and so on enjoy themselves. The sky city is a paradise to golden eagles, scarlet macaws, blue-and-yellow macaws, sulphur-crested cockatoo, Alexandrine parakeets, red-breasted parakeet, etc. At the swan lake, you could appreciate Lesser Adjutants, Red-crowned Cranes, Black-necked Cranes, flamingos, Pelecanus, Whooper Swans, Black Swans, cormorants, etc. At Zone One of Herbivore, you could see the kangaroos, wildebeests, oryxes, elands, yaks and other species of herbivore from different regions and countries walking or running in the woods in a shuttle bus. Visitors are not allowed to walk around this area. At Zone Two of Herbivore, you could walk to keep close to the wild animals. You will see the elk, llamas, and sika deer and other types of deer. If interested, you could enjoy the show at the Animal Happiness Camp. You will see more than 20 animals show the animals’ behaviors demonstration there. At the giant pandas hall, the lovely animals enjoy themselves through walking freely, playing with each other, lying on the grassland, or eating bamboo. As it always takes several hours to explore the whole park plus the animals are always active in the morning, it is suggested to visit the park in the morning. Only a few buses pass by the park. Therefore, there are only a few options. Take Bus 235, 241, 249 and Bus 150 to the Stop of Yunnan Wildlife Park (云南野生动物园站). Interested in visiting the Yunnan Wildlife Park on a Tour? Wendy Wei Tours offers a variety of different packaged tours as well as custom tours including the Yunnan Wildlife Park, among other attractions and destinations. To find out more, please visit our Tours page or Contact Us directly to find out more.